Home » A guide to surviving harsh weather in style! Step 1) Purchase an energy smart Hot Spring Spa. Step 2) Use your recently purchased Hot Spring Spa for the very best massage. Hot Spring Spas innovative, patented jets are designed to target specific muscle groups, giving you the very best massage experience every time you use your spa. Each jet delivers powerful, soothing streams of water with pressure that you can customize to your preference. Step 3) Relax, while enjoying the soothing sounds and tranquility of rushing water. Step 4) Enjoy the ambiance and let the LED lighting help set the mood. Add ambience to your nightly soak with the Luminescence lighting system. With four zones, you can individually control color and brightness of underwater and bartop lighting, or set the lights to rotate through all the colors. Step 5) Invite your family and friends to share in your Harsh Weather Survival in your Hot Spring Spa! Unplug & Engage with your family and friends. Soaking in a hot tub can give your mind (and your smartphone) a rest, allowing you to disconnect from technology and connect with what’s most important. 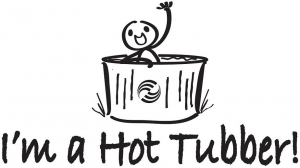 Hot tubs help promote active relaxation that encourages you to be more aware of yourself and open with others. You’ll want to share and enjoy more meaningful conversations in a comfortable, no-stress setting. Need supplies? How about a new cover or accessories? 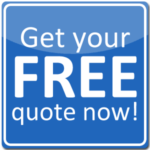 Contact us for all your Hot Spring Hot Tubs parts and extras, or if you’re ready to Trade-in your old spa come in to see the latest models.